Contrary to what was promised last year, semi-professional football team Gibraltar United is still not paying its players in cryptocurrency. In July 2018, The Guardian reported the Gibraltar Premier division team will be the first one to “pay players in cryptocurrency.” Club founder and majority owner, Pablo Dana, said all player contracts will include payment agreements in cryptocurrency by next season. Despite these lofty ambitions though, the season is nearing its end and there is still no sign that players are receiving their salaries in digital assets. The plan was to manage players’ payroll with an app called Quantocoin. 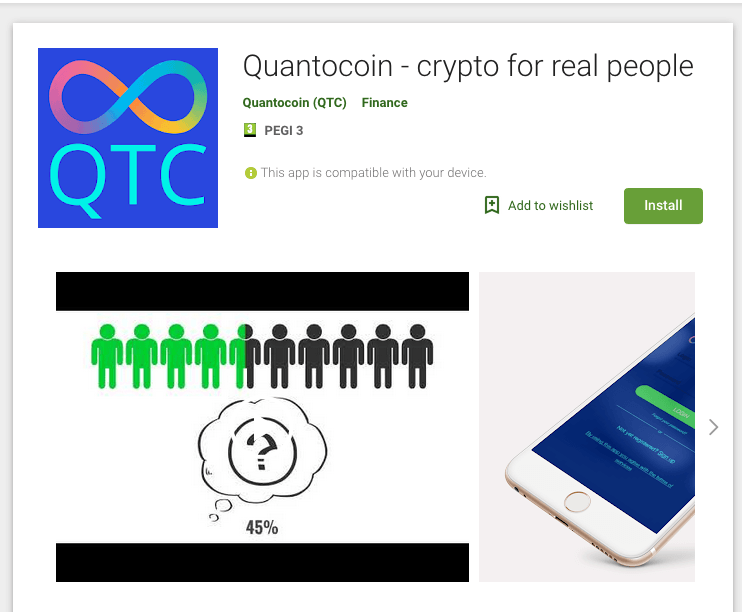 To receive salaries in cryptocurrency, players would have to download the app and open a wallet, where they could receive Quantocoin’s native token, QTC. Claiming to be a “blockchain bank,” Dana told Hard Fork in August that players would be able to convert QTC tokens into other cryptocurrencies (and perhaps even fiat) directly from the app. This model, Dana said, would help players avoid some of the challenges they face when setting up local bank accounts. 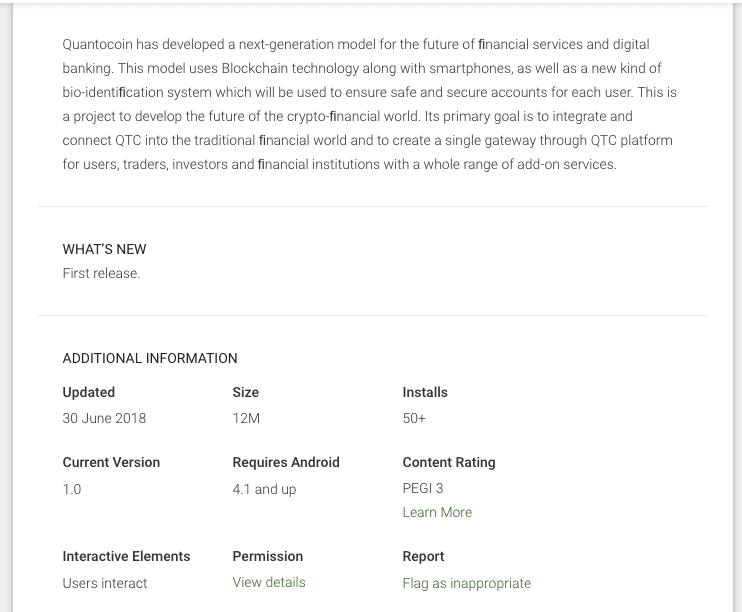 Quantocoin thought it could help players by providing an alternative banking platform. “Once the players receive the QTCt, they can change them into altcoins or fiat at their own wish,” Dana told Hard Fork when the news first dropped. “QTCt shall be on major exchanges within days,” he added. That was back in August, 2018. Eight months later, QTCt is yet to start trading on any cryptocurrency exchanges. This means that even if the salaries and bonuses were distributed in cryptocurrency, players would have no easy way of using them outside of the Quantocoin app – let alone converting them to fiat. It should also be noted that Dana is a major investor in Quantocoin and is listed on its website as one its “key people.” He clearly stands to benefit if Quantocoin becomes popular. At press time, Quantocoin claims to be in the final stage of its initial coin offering (ICO), which it has branded as a distributional token offering (DTO). This appears to be the only way of acquiring tokens, yet there is nowhere to actively trade them. Hard Fork contacted staff and players at Gibraltar United to find out when, or if at all, players could expect to be paid in cryptocurrency. One player confirmed to Hard Fork that neither he, nor anyone else in the team, has received any salary or bonus payments in cryptocurrency to date. 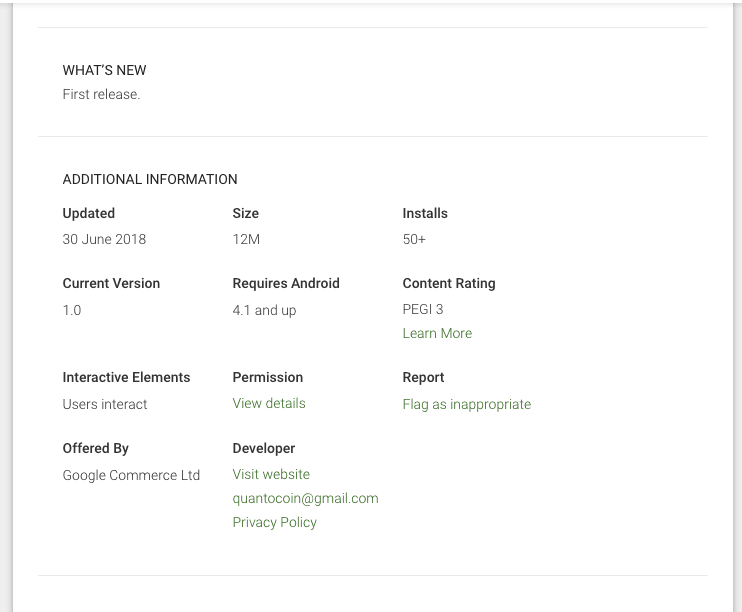 While the Quantocoin app is available on Google play, it has not been updated since it launched last June and has had barely any downloads; just 50 at the time of writing. The player didn’t know when it would be fully functional. While there is an “agreement” for players to receive prize money or bonuses in cryptocurrency, none of them have actually received any. Hard Fork contacted Dana to inquire about Quantocoin’s status, but the Gibraltar United president declined to comment on both occasions. “We lost enough time with you,” Dana told us, referring to a previous line of inquiry Hard Fork initiated back in August, when Gibraltar United first made headlines with its intention to pay players in cryptocurrency. At the time, Dana boasted Gibraltar United will be the first football club in the world to integrate cryptocurrency payments for salaries and bonuses. Indeed, the announcement attracted coverage from a number of outlets, including CCN and Bitcoin.com, among many others. As we already mentioned, the news even made it to The Guardian. But for all the press Gibraltar United received, the club has yet to deliver on its promises. Last year, a similar story came to light after reports suggested Argentina would be getting 1,600 Bitcoin ATMs before the end of 2019, 150 of which would be installed by the end of 2018. However, months later after being contacted by Hard Fork the Bitcoin ATM operator, Odyssey, began backtracking on its promises. Odyssey had previously said that it had installed 200 BATMs in Argentina in 2017, but months later, retreated on promises when questioned. The blockchain and cryptocurrency industry relies heavily on making promises of what the future will be like if these promises come to fruition. In many cases, Gibraltar United included, it’s these visions that are being sold, rather than a working technology. Last August, Dana told Hard Fork he believes blockchain has lots to offer to the sports industry. He also predicted that we’re close to mass adoption, and we will all be getting paid in cryptocurrency soon enough – without any need to convert our salaries to fiat.